A powerful, inspiring memoir in the vein of When Bad Things Happen to Good People about the wisdom a rabbi gained after his young son suffered a catastrophic brain stem stroke that left him quadriplegic and dependent on a ventilator for each breath. The ground had shifted beneath the Sherman family’s feet, yet over the next thirty years, they were able to find comfort, pleasure, and courage in one another, their community, their faith, and in the love they shared. The experience pointed Rabbi Sherman toward the answers to some of life’s biggest questions: To what lengths should parents go to protect their children? How can we maintain faith in God when tragedy occurs? Is it possible to experience joy alongside continuing heartbreak? Now, with deep insight, refreshing honesty, humor, and intelligence, Charles Sherman reflects back on his life and describes his struggle to address and ultimately answer these questions. 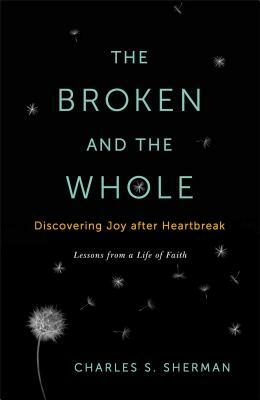 The Broken and the Whole is a moving, affecting, and inspiring meditation on what it means to embrace life after everything you’ve known has been shattered to pieces. Charles S. Sherman is the Senior Rabbi of Temple Adath Yeshurun, the largest synagogue in Central New York. Active in numerous faith-based and secular organizations, he has received many awards for his service and has been a respected member of his community for over forty years. He and his wife, Leah, parents of five children, live with their son Eyal in Syracuse, New York. A meaningful portrayal of how tragedy affected and transformed one family and especially one religious leader...Deeply moving, extraordinarily thought-provoking and entirely humane. "This is truly an unforgettable and amazing story—heart wrenching, inspiring, and ultimately reassuring. There’s no denying the searing pain of heartbreak, but also no denying the strength of the human spirit to carry on. I can't imagine a person that this wonderful book won't touch. I loved reading every page." "For anyone who has ever asked 'How can I possibly survive this?' Charles Sherman has written The Broken and The Whole. This heartfelt and honest memoir of life with his severely disabled son, Eyal, is a soaring poem of hope that gently leads the reader to a place of renewed joy - no matter how impossible or painful the circumstances."